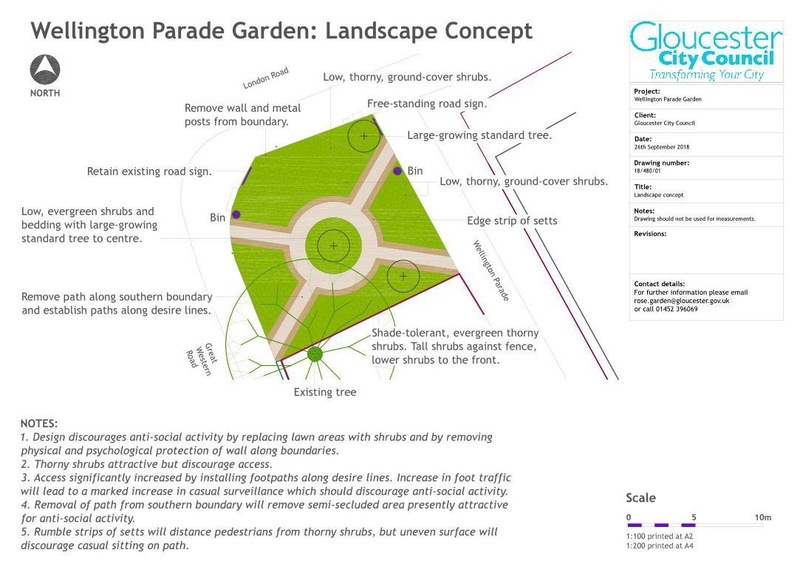 Ground work to improve Wellington Parade Garden on London Road has been delayed. The city council had planned to start construction this month and follow on with the planting of shrubs and plants in April. 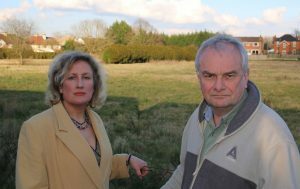 But, Lib Dem councillors Jeremy Hilton and Isabel Brazil have been told that tenders haven’t even been issued for the work. Tenders have been delayed by the city council’s legal services team. Currently, the garden is closed because it has become a location of problem street drinking. Adults have been drinking alcohol to excess, fighting and arguing between themselves, and using local residents’ front gardens as a toilet. The new garden layout has been designed to be more attractive and to discourage street drinking. Cllr. 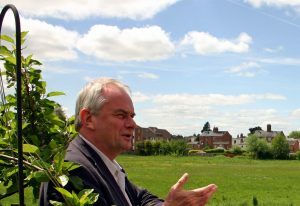 Jeremy Hilton (Lib Dem – Kingsholm & Wotton) said: “The delay in construction of the new garden is disappointing, but this is becoming normal with projects run by Gloucester City Council. With so many jobs lost under the Tories’ austerity plan, there are not enough staff to process projects on time. This really is a ‘Vanishing Council’. Jeremy Hilton has written to the city council development control team to raise objections to their recommendation to approve Redrow’s planning application 18/00306/FUL to build 100 houses on the former Civil Service Club Sports Ground. Cllr. Hilton believes this to be inconsistent with the planning committee’s decision on the 4th December when it rejected the application for 89 properties on the same site. The planning committee are meeting on Tuesday the 8th of January at 6pm to determine the application for 100 houses. Jeremy Hilton has listed ten reasons why the application should be rejected. Here are his objections in full. The development meets the 20% affordable homes target, with appropriate mix of housing types, but it does not meet the requirement for market housing mix, with no provision for one or two bedroom homes. Kingsholm & Wotton has a good mix of housing and so should any new development in the ward. The applicant proposes 31 three bedroom houses and 49 four bedroom houses. The mix according to SHMA should be 9 one bedroom homes, 23 two bedroom homes, 30 three bedroom homes and 18 four bedroom homes. Rejection on this policy alone would be consistent with the committee decision on the 89 house application. The applicants purchased the sports ground from the Civil Service Sports Council Ltd for just £10,000 in 2011 (GR355501). The applicants should publicly declare the details of the uplift clause they have with Civil Service Sports Council Ltd. I believe it is this legal agreement that is responsible for the maximisation of housing on the site rather than what one would expect in open discussion with the council and community on a development brief that would benefit all. Some degree of housing whilst retaining the main sports field for sport and recreation, would benefit everyone. It may be that the land has not been used for sport for more than five years, but that is because of a deliberate policy by the landowners to close the ground for sporting activities. I am disappointed that Sport England have changed their objection to the development. I don’t think a cash gift from Redrow of £2m to the city council to be spent elsewhere in Gloucester on sports provision adequately compensates for the loss of the playing fields that are in the heart of Kingsholm. The applicant has been unable to identify alternative provision elsewhere in Kingsholm & Wotton and therefore some sports provision should be retained on site. Spartans Rugby Club that is based in Sherborne Street would support the provision here for an additional rugby pitch for the club to use. The proposed development of 100 dwellings in my opinion is not consistent with JCS policy on green infrastructure. The former Civil Service Sport Ground provides a worthy green infrastructure asset that should be protected to help resolve the shortage of open space in Kingsholm and Wotton. I believe it is not beyond the wit of Redrow Homes to come up with a development solution that would provide much needed housing whilst retaining a large open space that could continue to be used for sport and recreation. The impact on the biodiversity from the wholesale building on the site will be negative. Two badger sets as indicated in the report will disappear if the development proceeds. Trees will be felled. The report also states that the development will create the loss of a foraging area for bats. The proposed tiny public open space is tucked away in the corner of the site giving the impression that it is an exclusive space for residents of the estate rather than one that is inclusive for everyone living in Kingsholm to use. A large percentage of the public open space is set out as a flood attenuation basin, making the space practicably unusable for recreational purposes. Where assets are created, retained or replaced within a scheme, they should be properly integrated into the design and contribute to local character and distinctiveness. Proposals should also make provisions for future maintenance of green infrastructure. The lack of serious community engagement by Redrow ahead of this planning application, about the future use of the site, is lamentable. They locked the gates and closed down the sporting use, even though it was a well used facility. Redrow have only presented plans that have proposed the complete building on the site, with the total loss of the playing fields. They have never properly consulted with anyone who lives in Kingsholm. The proposal for provide £148,784.31 towards the Sebert Street Recreation Ground play area has NOT been discussed with the community. This is currently one of the best play areas in the city that was created by the parents of Kingsholm Kids at Play. I am concerned about possible overdevelopment of the Sebert Street Recreational Ground as proposed in the officer’s report. What about Deans Way Meadow? Why is there no onsite provision? There is no clarity in the officer recommendations on what the Section 106 financial agreement will be and what positive impact these will have on the local community. be easily accessible on foot and by bicycle. It should be located so as to have the potential to be well-served by public transport. Developers should aim to provide flexible, multifunctional facilities within mixed-use developments, creating shared space which maximises benefits to the community and minimises land-take. In the case of open space, ‘easily accessible’ means it is located within reasonable walking distance of the development it serves. New facilities should be accessible to all members of the community, and be planned and phased in parallel with new development. This development, as did the one for 89 houses, fails to meet the requirement of this policy. The site will increase carbon emissions rather than reduce them with large increase of vehicles into the area around Denmark Road. It will reduce the opportunity to improve the health of local people in the area by reducing the local opportunity for sport and recreation for residents of Kingsholm. Kingsholm Primary School, which is a vibrant and popular school has expressed concern about their ability to cope with the additional children going to the school and the possible detriment to children from traveller families, who may no longer be able to get it. Safety and security including emergency services. 4. Planning permission will be granted only where sufficient provision has been made for infrastructure and services (together with their continued maintenance) to meet the needs of new development and / or which are required to mitigate the impact of new development upon existing communities. Infrastructure and services must be provided in line with an agreed, phased timescale and in accordance with other requirements of this Plan. The provision of 100 dwellings is in my opinion is overdevelopment of the site, which is in the heart of Kingsholm. Council policy as identified in the draft City Plan, which was approved by council in December 2016, recommends a maximum of 20 dwellings (SA06). The proposal of 100 dwellings exceeds this policy by 500%, with the complete loss of the playing fields. The layout of the site does not follow the usual street pattern that is evident in Kingsholm. It is adjacent to both the Kingsholm and Denmark Road conservation areas. I am concerned that the narrow streets on estate may become clogged up with motorists parking their cars on footpaths. This is a problem that will be exacerbated during times when there are rugby matches being played at the Kingsholm stadium. If 89 houses was an overdevelopment of the site as mentioned in the minutes of the December meeting then surely 100 houses is more so. There is still concern about the closeness of houses next to Bijou Court. There are a few areas where the relationships are below 21 metres separation, a concern raised by the planning officer. The proposed access onto Denmark Road is unacceptable. It closes the slip road to Lansdown Road and removes much-needed parking spaces on Denmark Road. The closure of the slip road will create more vehicle conflict at the other junction with Lansdown Road. This will be a particular problem when school coaches use this junction. Parents often park illegally on double yellow lines at this point. The problem will become much worse. The closure of the slip road will also remove the U-turn provision it provides for the houses serviced off the dual carriageway section of Denmark Road on the south side. Kingsholm & Wotton has a low level of public open space as identified in the city council’s open spaces strategy. The officer report confirms this to be the case. The council’s public open space standard is 2.8ha per 1000 population. Based on the new ward boundaries introduced at the 2016 election the ward has just 0.49ha per 1,000 population. Or 3.59ha for a population based on mid 2016 of 7,259 persons. An opportunity is being missed in the proposed development to achieve a good increase in public open space provision in the ward because of the wholesale development of the site. 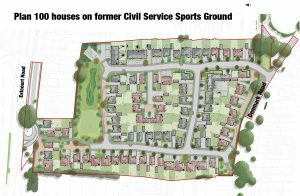 Redrow Homes has appealed to the Secretary of State about Gloucester City Council’s non-determination of their planning application to build 89 dwellings on the former Civil Service Sports Ground off Estcourt Road. Application reference 16/00968/FUL. This controversial application raised many objections from local residents when it was originally deposited with the council in 2016. The deadline for comments to the Planning Inspectorate from the public was the 9th of August this year. Jeremy Hilton’s letter is below. Gloucester City Council has still to respond. Within a few weeks the council will take its response to the planning committee for approval, before it is sent to the Planning Inspectorate. 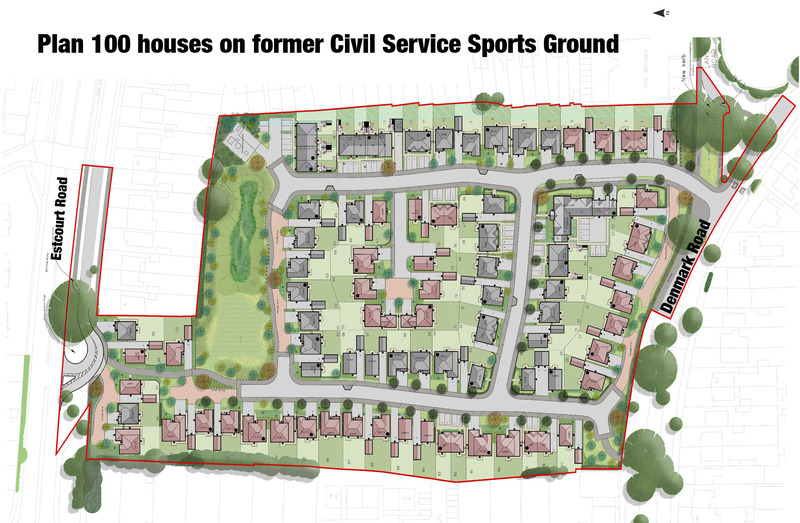 I write to ask you to dismiss the appeal by Redrow Homes related to the planning application for 89 houses on the former Civil Service Sports Club ground (Ref:16/00968/FUL). I am the local county and city councillor for Kingsholm & Wotton. On the 19th of April 2017, I did write to the case officer at Gloucester City Council pointing out that the application was then seven months old and that it should be determined with a recommendation to refuse. The council said they were giving more time to Redrow to resolve the issue about the loss of sports pitches. Redrow had not in April 2017 nor since provided evidence on how they would mitigate for the loss of the playing fields. There is a shortage of rugby and football pitches in Gloucester. Spartans Ruby Club, which is based in Kingsholm, is looking for an additional pitch near to its club house, which is in neighbouring Sherborne Street. 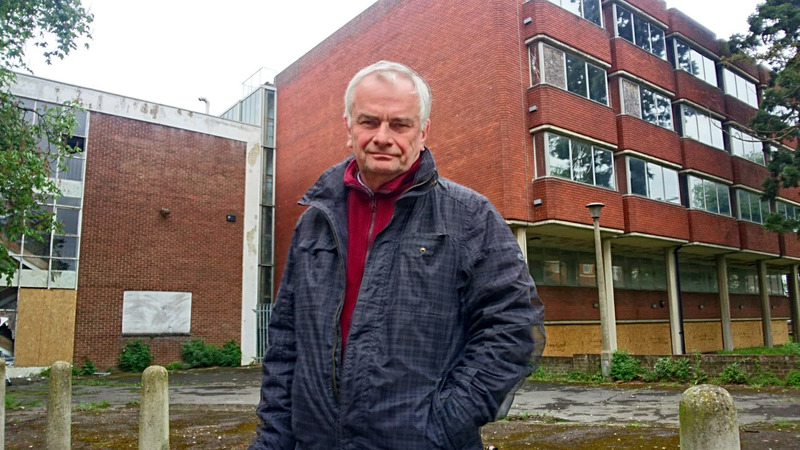 The High School for Girls, which is in Denmark Road has also spoken to me about possible use of the sports field if it is saved from development. All Redrow have done since acquiring the site in 2011 (for just £10,000) is shut the gates and demolish the club house etc, making the facilities unavailable for active sport that it had previously been used for. Similarly, since acquiring the site Redrow have failed to properly discuss the future of the playing fields with the local community that is required in the Joint Core Strategy policy INF4. The lack of community engagement is lamentable. Redrow’s idea of consultation has been to lodge two full planning applications with the council, leaving no opportunity for the council or the community to hold discussions about how the site could be developed for some housing, but leaving the rest of the site available for sport and recreation. As Keith Annis a senior manager at Redrow once told me they were playing for time. The question must be asked why has it taken them nearly two years from depositing the planning application to lodge an appeal? The plan for affordable homes did not meet the council’s then standard, when the application was submitted, which was 40 %. The application lists 18 dwellings as intermediate housing, this is equates to 20% of the build. It was impossible for the council to approve an application that did not meet this standard. Subsequently, the Joint Core Strategy has been adopted, where the new limit is set at 20%. I believe it is this legal agreement that is responsible for the maximisation of housing on the site rather than what one would expect an open discussion with the council and community on a development brief that would benefit all. Some degree of housing whilst retaining the main sports field for sport and recreation, would benefit everyone. I concur with Sport England that the application should be refused. The applicants have failed to identify alternative facilities that could accommodate sporting activities that previously took place on the Civil Service Sports ground. In my opinion, alternative provision must be within the Kingsholm & Wotton ward. The proposed development of 89 dwellings in my opinion is not consistent with JCS policy on green infrastructure. The former Civil Service Sport Ground provides a worthy green infrastructure asset that should be protected to help resolve the shortage of open space in Kingsholm and Wotton. I believe it is not beyond the wit of all parties to come up with a development solution that would provide much needed housing whilst retaining a large open space that could continue to be used for sport and recreation. 4. Where assets are created, retained or replaced within a scheme, they should be properly integrated into the design and contribute to local character and distinctiveness. Proposals should also make provisions for future maintenance of green infrastructure. As I have previously mentioned the lack of serious community engagement by Redrow ahead of this planning application, about the future use of the site, is lamentable. Redrow have only showed plans that have proposed the complete building on the site, with the loss of the playing fields. They have never properly consulted anyone. The provision of 89 dwellings is in my opinion is overdevelopment of the site, which is in the heart of Kingsholm. Council policy as identified in the draft City Plan, which was approved by council in December 2016, recommends a maximum of twenty dwellings (SA06). The proposal of 89 dwellings exceeds this policy by 445%, with the complete loss of the playing fields. A compromise of 40 dwellings, for example, on this site would mean that the former sports field could be brought back into use. I am concerned that the narrow streets on estate may be become clogged up with motorists parking their cars on footpaths. This is a problem that will be exacerbated during times when there are rugby matches being played at the Kingsholm stadium. The small public open space is set out to give the impression that it is an exclusive space just for the new residents of the estate. New public open space should laid out to be inclusive and available to all Kingsholm residents. I am not convinced by the design of the access point onto Estcourt Road slip road. The closure of the slip road will create more vehicle conflict at the other junction with Lansdown Road. This will be a particular problem when school coaches use this junction. An opportunity is being missed in the proposed development to achieve a good increase in public open space provision in the ward by the wholesale development of the site, which was formerly used for sport and recreation. I would recommend that this appeal is dismissed. Jeremy Hilton & Declan Wilson with 92-96 Westgate Street in the background. This would be the new, much smaller customer advice centre for the city council. Drop in appointments to be ended. Gloucester City Council should suspend its planned move of its offices to Shire Hall, say the Lib Dems. The current plan is for the city council to be based on the fifth floor at Shire Hall from 1st April 2019. Shire Hall is the headquarters of the county council. The Liberal Democrat group says the business planning behind the project is ill thought out and the office accommodation will be temporary, too small and the financial savings unsound. “Gloucester City Council under Conservative control really is becoming a ‘vanishing council’. The council lacks ambition and is unable to plan long term. The Conservative administration is exhausted and has run out of good ideas. Moving to Shire Hall is a desperate stop gap position. It attempts to save money but doesn’t. The move should be suspended to allow for a full reappraisal. “The accommodation at Shire Hall and 92-96 Westgate Street amounts to just 1,175 sqm. This is 78% smaller in size compared to the 5,290 sqm at Herbert, Kimberley and Phillpotts warehouses at the Docks. The Tory cabinet has still not provided opposition councillors with the plans on how it will all be squeezed into such a small space. The public reception advice centre on Westgate Street will be tiny, just 123 sqm compared to current 377 sqm. “The council has yet to secure an agreement with the Canals & River Trust about altering the covenant on Herbert, Kimberley and Phillpotts warehouses. Until this is sorted, the buildings cannot be put up for sale. We must not leave these grade II listed buildings empty whilst we find a buyer. In the past, two empty warehouses in the Docks have been destroyed by arson. This could happen again. We should not move out until we have sold the buildings to new owners who have obtained planning permission. “The city council needs to acquire new accommodation for the long term. It requires space to grow, especially if the council ends the Amey streetcare contract and brings the service back in house. We should build new offices in the Kings Quarter next to the new bus station. This would help kickstart the regeneration of the immediate area. It would be a bold move repeating the success of the council’s move to the Docks in the 1980’s. Discussions about the failing Amey streetcare contract must be held in open session with the press and public present says Liberal Democrat group leader, Cllr. Jeremy Hilton. On Monday 23rd of July, the Audit and Governance Committee of Gloucester City Council will receive a report (agenda item 16) about the failing streetcare contract that it has with Amey PLC. Currently it is planned to exclude the press and public. The committee will receive a report into the reasons why 2,000 tonnes of recyclable waste went missing with a market value of £246,000. “Today I have written to the chair of the Audit & Governance Committee, Cllr. Andrew Gravells (Con – Abbeydale). “I have asked him to hold the discussion of the agenda item in open session. The press and public have a right to attend the meeting and hear the full story. “The council mustn’t hold any secrets into the difficulties it is having with our streetcare contractors. If this were a problem of a council direct labour organisation then the matter would be discussed in public. “I have read the report. I can see no reason to hold the discussion in secret session. 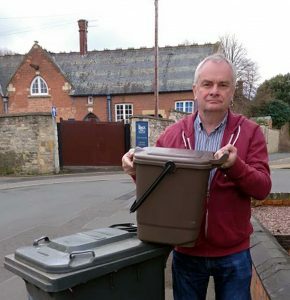 Gloucester Liberal Democrats are demanding the Conservative-run city council takes action over persistent poor performance by waste collection contractors Amey. Lib Dem councillors have tabled a motion for debate at a meeting of the city council on July 12, which calls on the Conservative cabinet to sort out the recent problems that have hit Amey. Around 2,000 tonnes of recycled waste – collected from outside residents’ homes – has disappeared amid allegations from a whistleblower that some has been sent to landfill. The Lib Dems have previously described both Amey and the Conservative cabinet as “utterly useless” in their management of the waste collection service. 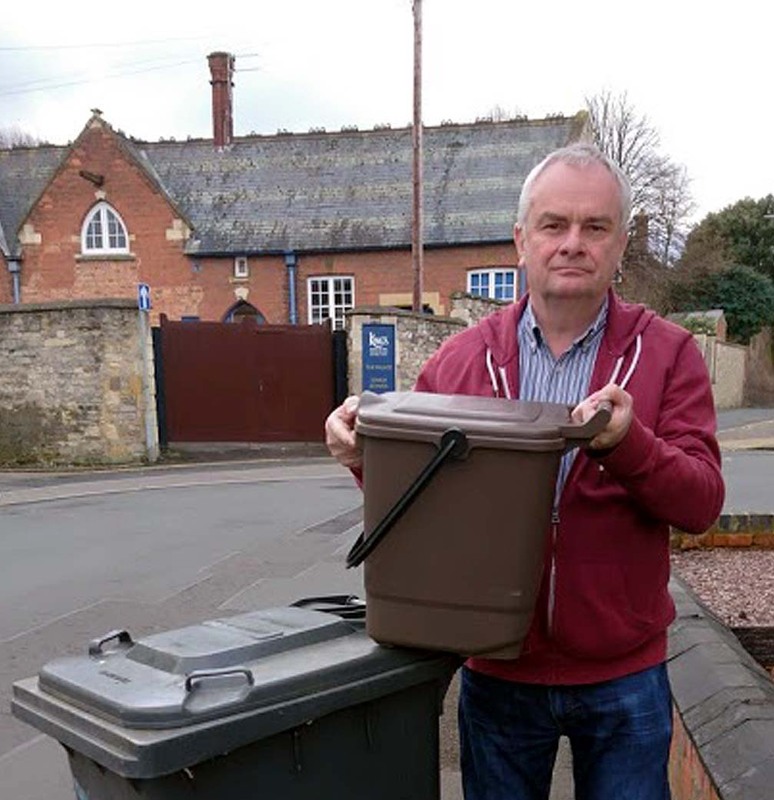 Councillor Richard Cook, the cabinet member for the environment, recently told the scrutiny committee that just over 2,000 tonnes of recyclable waste had gone missing with a market value of £246,000. The controversy comes just months after a string of cancelled collections over the Christmas and New Year break. Households saw recycling build up for days over the end-of-year period when civic chiefs and Amey decided the icy road conditions with snow were too risky for crews. Lib Dem group leader Councillor Jeremy Hilton, who represents Kingsholm & Wotton, is moving the motion. “The council has a multi-million pound streetcare contract with Amey PLC,” he said. “It is unbelievable that 2,000 tonnes of household waste has just disappeared. The contractor Amey and the cabinet who oversee the contract need to sort out this problem. 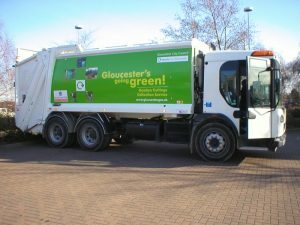 “The loss of £246,000, which is the value of the lost 2,000 tonnes of recyclable waste, will have a negative impact on the council’s balance sheet. 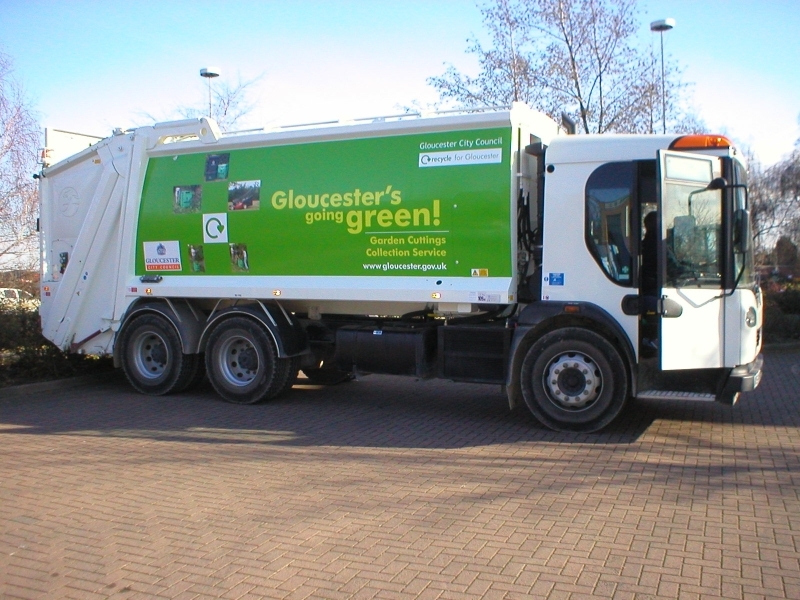 “This council records its dissatisfaction with the household waste collection services operated by the council’s contractor Amey PLC. This council notes that 2,000 tonnes of recyclable waste is unaccounted for with a market value of £246,000 and that there are stories of recyclable household waste being inappropriately sent to landfill. This council also raises concerns about the quality of the client side management of the streetcare contract overseen by the cabinet. Gloucester City Council has been unable to collect nearly £700,000 in business rates because two office blocks in Gloucester have been laid empty for years. The HM Revenue & Customs reduced the rateable value on 67 and 69 London Road to zero meaning the owners, Pall Mall Estates, do not have to pay business rates on either property. It is understood that HMRC reduced the valuation to zero on the August 29, 2011. Before the reduction the rateable value of both properties stood at £269,500 and meant that business rates were worth £118,732 per year to Gloucester City Council. 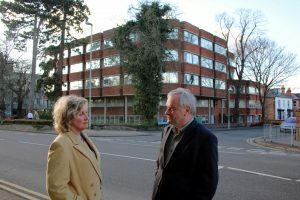 The properties were subject to a debate at the city council in May led by Liberal Democrat councillors Jeremy Hilton and Isabel Brazil, who represent Kingsholm Ward. Their motion was passed unanimously calling for the buildings to be acquired for residential redevelopment, with a Compulsory Purchase Order being used if a reasonable purchase terms could not be agreed. 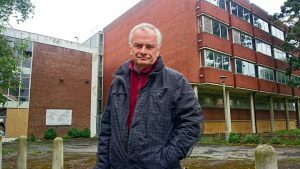 Councillor Hilton said: “The owners stripped out the services within the buildings a few years ago. This probably helped them secure a zero rating on their business rates. 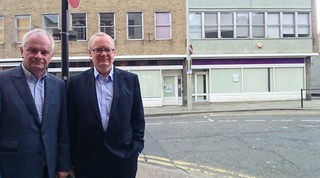 “The loss of £700,000 in business rates since 2011 is scandalous. I understand the owners have had offers from potential buyers but turned them down. “If they had to pay business rates on the office blocks they may have sold them by now. “Private householders aren’t allowed to hang on to empty properties for year after year and not pay any council tax. “Why should wealthy corporations get away with not paying their fair share of taxes? The system is corrupt. 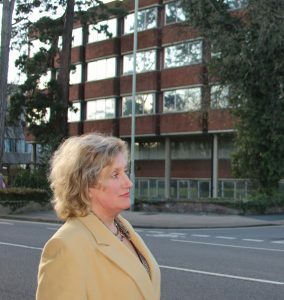 Councillor Isabel Brazil said: “The buildings are run down and can no longer be easily let. “The owners shouldn’t be allowed to sit on a property asset for year after year and not pay tax on them. Liberal Democrat leader, Cllr. 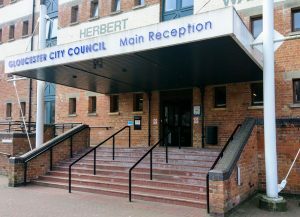 Jeremy Hilton has responded to the decision of the Conservative controlled Gloucester City Council to close its customer advice reception and contact centre to the public on the last Wednesday of every month. The first closure will be on the 30th of May. Cllr. Hilton has described the decision made by Cllr. David Norman as another example of the ‘vanishing council’. “Under Conservative control the city council continues to contract and services to the community diminish. It has certainly become a ‘vanishing council’. “Last year the cabinet cut the hours the reception was open every day. It now closes at 3pm rather than 5pm as it once did. In future the doors will be closed once a month for a whole day. “Residents arriving at the council on the last Wednesday of the month will be shocked and annoyed to see the doors locked to the council offices. If they phone the contact centre they will find their call will be unanswered. They will be frustrated they cannot speak to a person face to face to help solve their enquiry. “Due to staff cuts imposed by the Tories, the council’s customer service team is overstretched and no longer has the resilience to cope with the demands placed on it. “A good council would keeps its customer reception and contact centre open every working day. It should be able to organise staff training without locking the front doors. 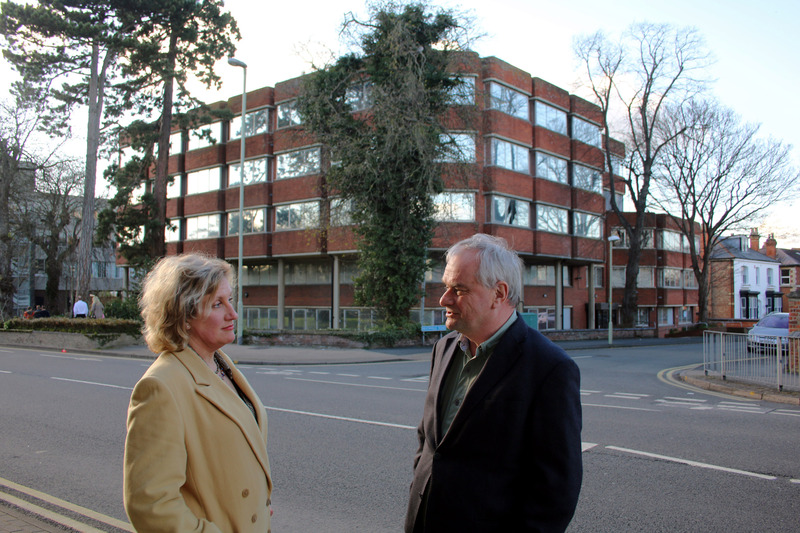 Liberal Democrat councillors for Kingsholm & Wotton, Jeremy Hilton & Isabel Brazil have issued a challenge to the Tory run city council to acquire 67/69 London Road for a housing development. The two former office buildings on London Road have remained empty for many years and they are deteriorating and becoming eyesores within an important conservation area. The annual meeting of the city council (21st May) will debate a motion proposed by Jeremy Hilton & seconded by Isabel Brazil calling on the council to acquire the dilapidated buildings for housing. The motion from the Kingsholm & Wotton councillors calls for compulsory purchase powers to be used if reasonable terms cannot be agreed. Jeremy Hilton concluded: “The owners have failed look after the properties, we cannot allow them to continue to remain empty for year after year. “This council notes that both 67 and 69 London Road, former offices, have been empty for a number of years and that these buildings are continuing to deteriorate. They have become an eyesore on London Road, which is a conservation area and also one of the main routes into the city centre. This council also notes that the combined site is listed in the draft city plan as being suitable for residential development. This council, therefore, asks the leader to use city council resources to acquire 67 and 69 London Road for a residential regeneration project. Plans have been submitted to build 100 homes on the grounds of the former Civil Service club in Kingsholm. Liberal Democrat councillors are opposed to so many properties being built on the Estcourt Road site because it will take away valuable green space for local people. The application by Redrow Homes to Gloucester City Council is an increase of 11 properties on a previous application of 89 homes, which is yet to be determined by the planning committee. 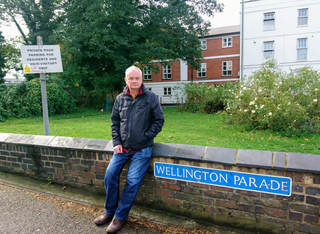 Councillor Jeremy Hilton, who represents Kingsholm Ward on the city council, said the new application is in contravention of several council polices. “The area has less public open space than the council says is necessary for the local population,” said Councillor Hilton. “This application will take away valuable green space in the heart of Kingsholm. We do need more houses, but not so many at this location. “The council’s draft city plan says the maximum on the site should be 20. This would leave the large field untouched and available for sport and recreation. It is expected that the council will receive many objections as it did on the previous application, added Councillor Hilton. Councillor Isabel Brazil, who also represents Kingsholm Ward, said: “We need to protect the green spaces in Kingsholm. There just isn’t enough locally, especially public open space. Councillor Hilton added: “Redrow has been unable to find an alternative sports site nearby, so they are proposing as a sop to the council a cash contribution to be spent on sports fields in the south of Gloucester.